Click on the Google Directions below and enter your starting address. Directions will be shown to our Mississauga optometry office. If you're in Toronto, or Oakville, we're only a short drive away. 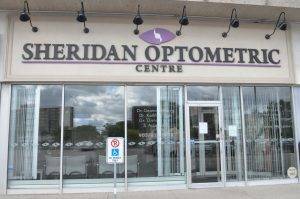 Many Ontario insurance companies have added eye examinations and eyewear to their coverage. It is advised to check your policy to find out the extent of your coverage before coming in for your visit. We now deal directly with Green Shield and Great West Life insurance! Online submissions now available. OHIP Coverage allows children (ages 0 - 19 years old) one full eye examination per year. Thank you again for your time and we look forward to caring for you and your family in the near future. Not sure how to get here? Click on the Google Maps and Directions above. Our location in Mississauga is a short drive from Oakville and Toronto. Please read more about vision insurance or call us with any questions.